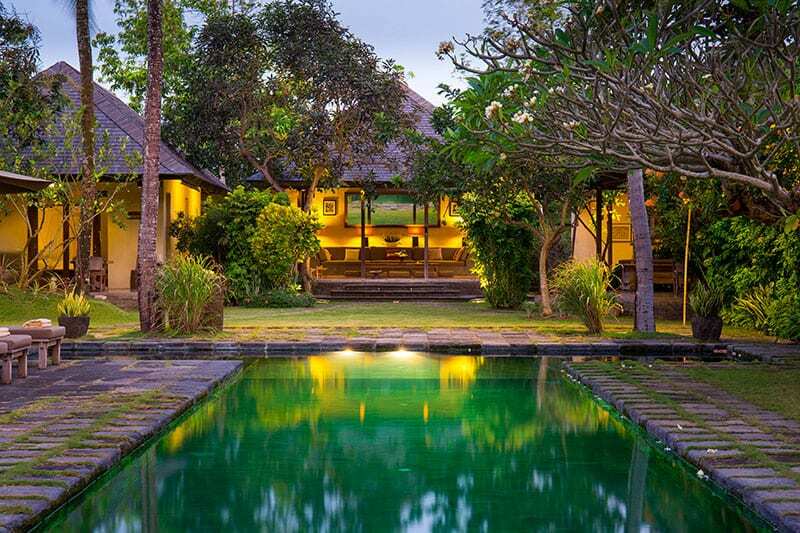 Secluded, serene and super spacious, Villa Belong Dua gives you a taste of Balinese heritage while still providing you with 21st century comforts. 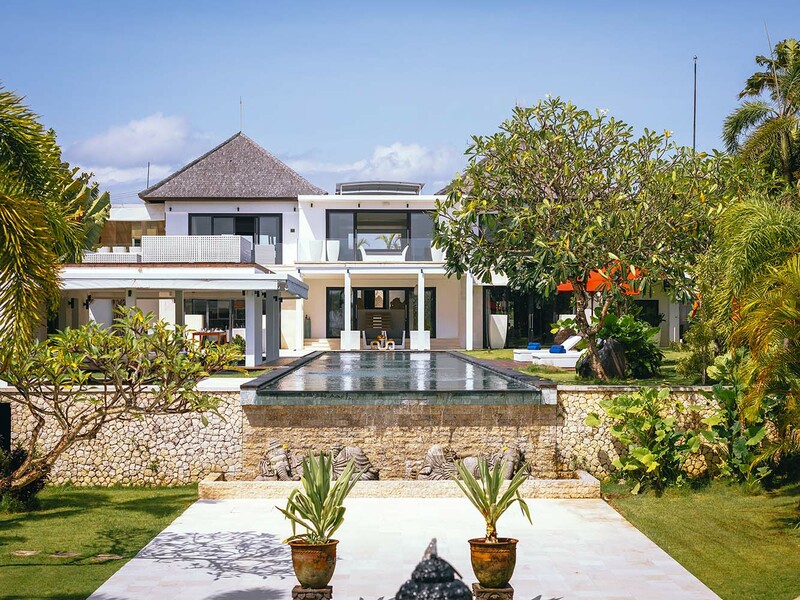 This 2-bedroom villa was designed with Balinese architecture, antiques and decor, and it features a lush garden bursting with flower and fruit trees, a gorgeous 20-metre pool and living spaces and bedrooms that seamlessly blend indoor and outdoor living. 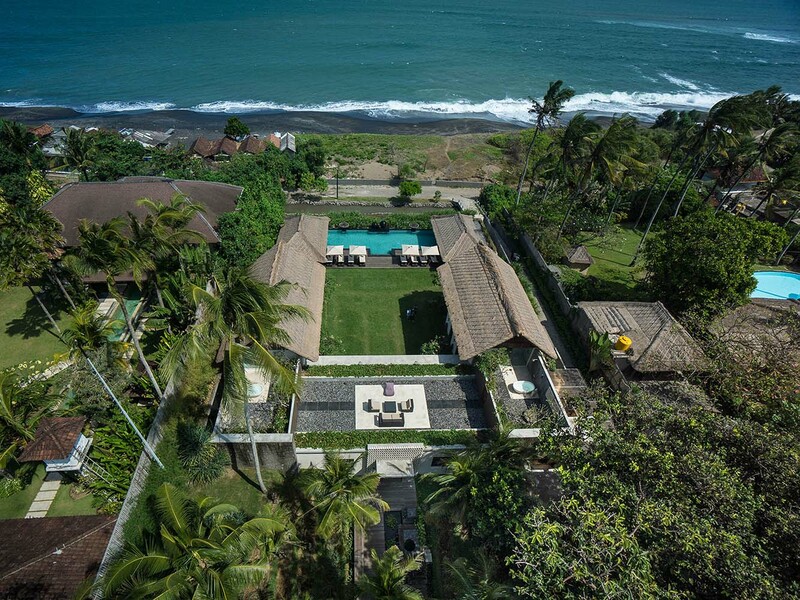 In addition, Villa Belong Dua is located in a tranquil traditional Balinese village just minutes from the beach and a short drive to laid-back Canggu and buzzing Seminyak. Couples travelling together, families or small groups of friends will love that Villa Belong Dua offers five separate pavilions where you can gather for some socialising or escape for private moments. You can soak up the sun on a lounger next to the pool, indulge in soothing massages in the antique bale, meet for sunset drinks or gourmet meals in the open-sided living room or dining room pavilions, catch the latest flicks in the media room, or shower under the stars in your ensuite bathroom attached to your intimate stand-alone bedroom pavilion. Whether you’re looking for some serious R&R or celebrating good times, Villa Belong Dua is your spot. Overlooking the pool is the open-sided living room pavilion with its high vaulted roof and wooden pillars, huge daybed, table and floor cushions, as well as a large hanging mirror that reflects views of the garden. Behind the living room you will find the enclosed media room replete with a brown leather sofa, LCD satellite TV, DVD player, iPod dock, and built-in desks for those who want to catch up on a bit of work. Next to the living pavilion is the dining and kitchen pavilion, which is semi-open to allow gentle breezes to wash in. This area has a long wooden table and chairs that can comfortably seat 6 people, an iPod dock for a little ambiance during meals, and ceiling fans for balmy days. 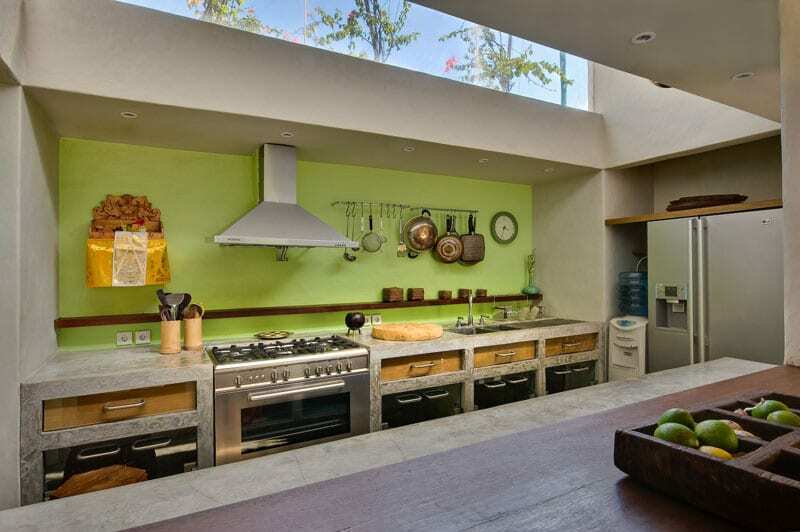 A service bar separates the dining area and kitchen, and guests can opt to cook their own meals in the fully equipped modern kitchen or let the villa chefs work their magic. 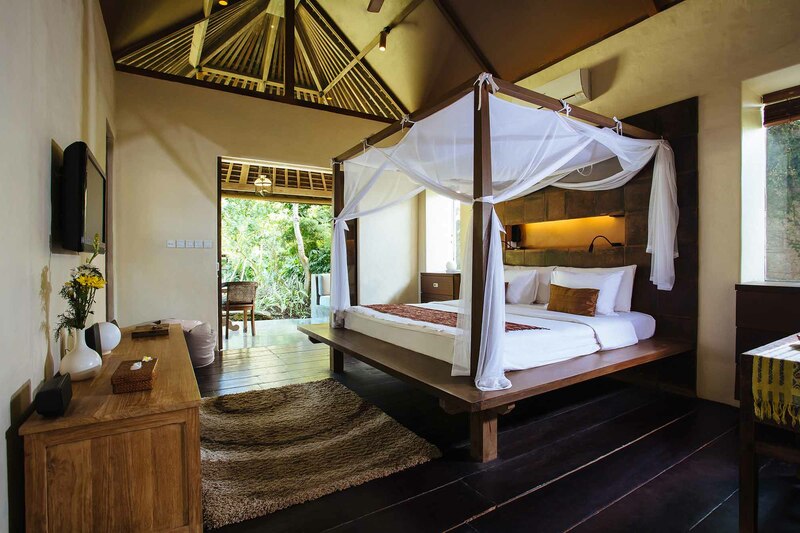 One of the nicest aspects of Villa Belong Dua is that like the other living areas, the bedroom suites stand alone in their own private pavilions. Each bedroom has smooth wooden floors, lofty ceilings, A/C or fan cooling, king-size four-poster beds, and terraces with romantic lanterns and daybeds. 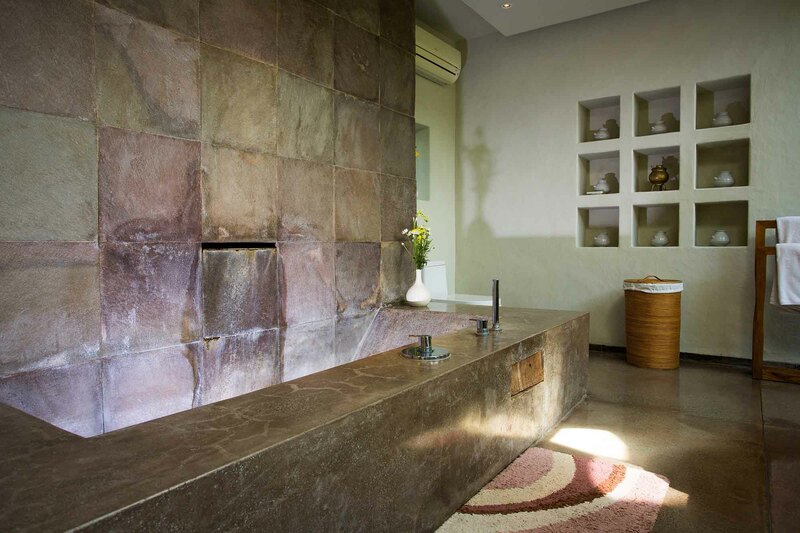 The bathrooms are just as beautiful as the sleeping areas with terrazzo tubs, windows, glass doors and skylights for natural light, and open-air showers in private courtyards with pebbled floors. In addition, each bedroom is outfitted with state-of-the-art equipment like LCD TVs, DVD players and iPod docks. A huge replica of a Hindu temple from Angkor Wat marks the entrance way to Villa Belong Dua, and once you pass the lily pond and Buddha statue and step inside the villa walls, you are immediately blown away by the sheer size of the property. A rustic stone wall encapsulates expansive lawns dotted with mature coconut trees, fragrant frangipani trees, and lemon and mango trees, and a massive swimming pool takes pride and place in the centre along with an antique bale and sun loungers. CAPACITY 4 adults (2 bedrooms with king-size beds), 1 baby cot, extra bed available (additional cost). 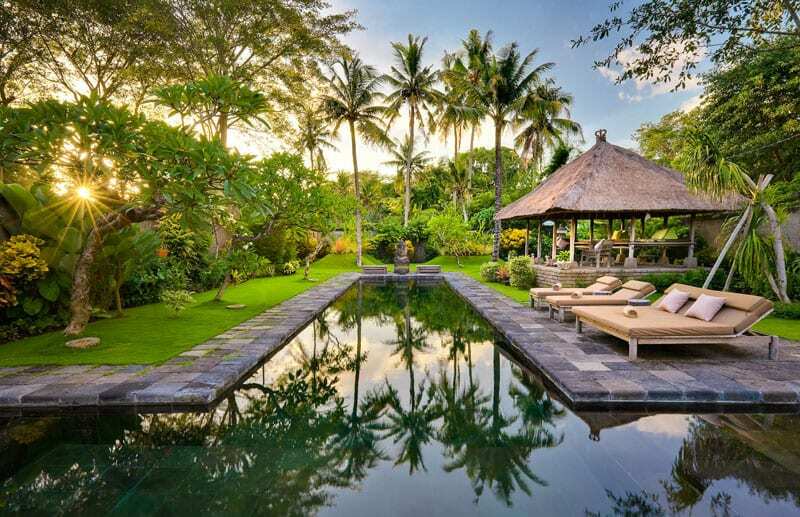 LIVING AREAS Open-sided, fan-cooled living and dining pavilions, air-conditioned media room, poolside bale gede. POOL 20m x 4m (4m x 4m children's area). STAFF Villa manager, chef, 3 butlers, gardener/pool attendant, 2 security guards. Spa therapists and babysitters available at extra charge. DINING The villa's suggestion menu includes a wide variety of Western and Asian dishes. Requests accommodated (including special diets). Rate includes complimentary daily breakfast. COMMUNICATION WiFi Broadband internet connection, IDD, local landline available, mobile phone coverage. ENTERTAINMENT Satellite TV, DVD and iPod docks in each bedroom, Satellite TV, DVD, CD, iPod dock and book collection in media room. FOR FAMILIES Cot; high chair, shallow pool area, DVDs, books, games and toys. TRANSPORT If additional transport is required, don’t hesitate to ask the villa manager to call one of the island’s safe and reasonably priced metered taxis, or to organise day or half-day car and driver hire for sightseeing. ADDITIONAL Generator backup, 4 bicycles with helmets, barbecue. The fishing village of Seseh grew in importance in 18th century Bali when it became home to the major temple of the former Kingdom of Mengwi. At that time it was also a small trading port, inhabited by a number of families of Chinese decent. 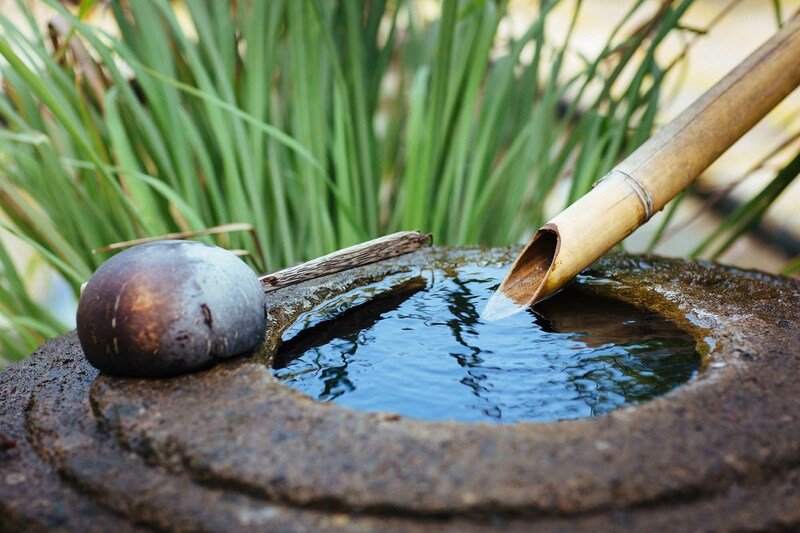 Today, Seseh is an ideal destination for those who want to get lost in the beauty of the countryside and engage with the local people to gain privileged insights into the Balinese Hindu lifestyle: the people of Seseh encourage and welcome congenial visitors. 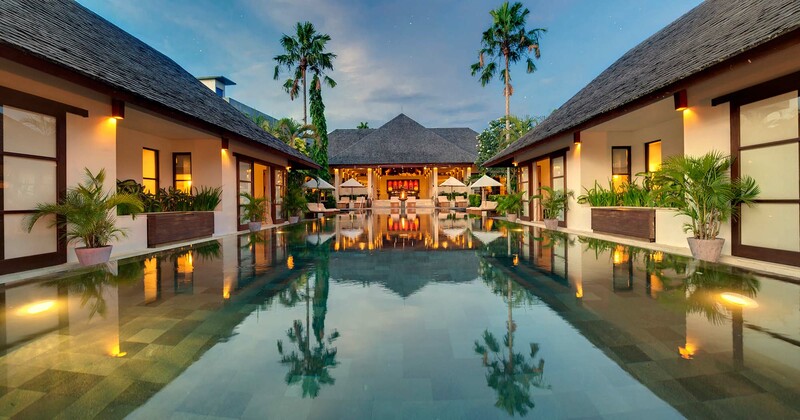 There are no international restaurants here, but the villa is only 30 minutes’ drive (15km) from the many restaurants and shops of cosmopolitan Seminyak. The renowned surfers’ haunt of Echo Beach is also within easy reach (8.5km), where guests can enjoy the laidback vibe, an ice-cold beer and some incredible sunsets. We only stayed four nights at Villa Belong Dua and wished we could extend our stay for much longer. My wife and I have travelled to Bali quite a few times and this villa and its staff are clearly the best we have ever encountered. The villa itself is set in a nice and quite gong. 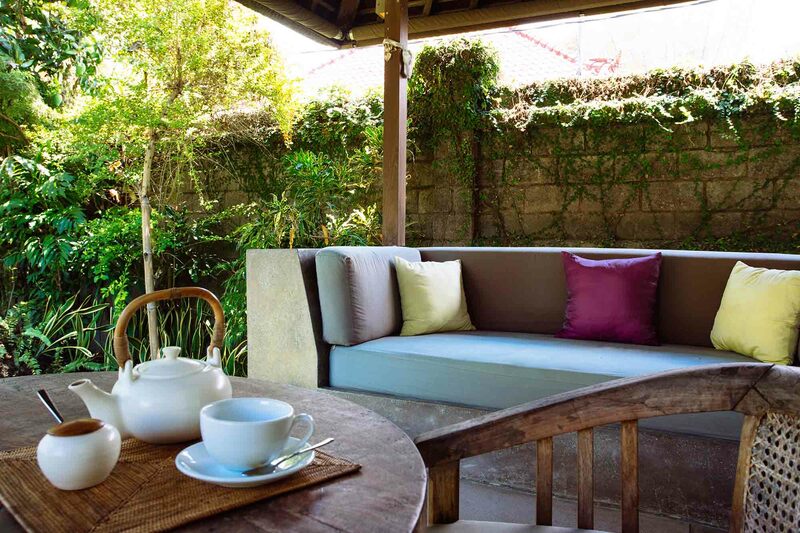 The architecture is refined and done with great traditional Balinese taste. 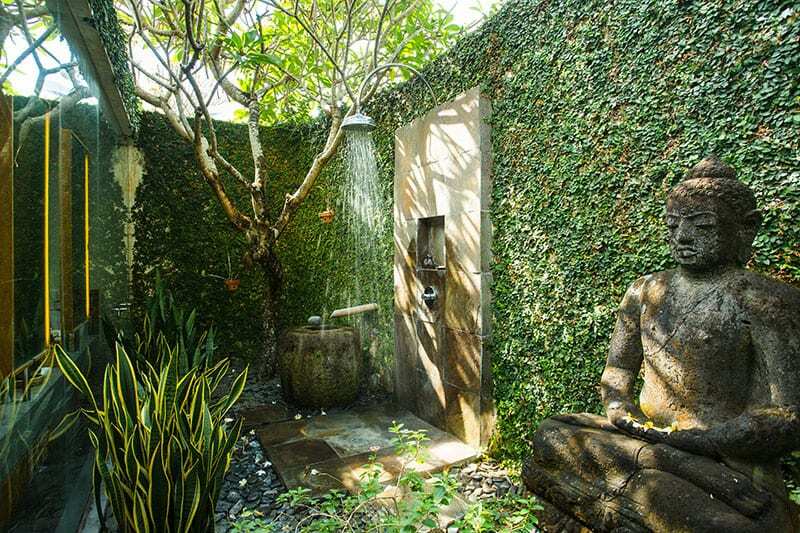 Everything about this villa is an invitation to peace and tranquility. Sainna (not sure this spelled correctly), the villa manager, is very discrete and helpful in making your stay as enjoyable as possible. Francis, the chef, is very friendly and very skilled at preparing all sorts of meals from traditional Indonesian food to more European style cuisine. We strongly recommend you try out the fish BBQ!!! All in all we had a great stay and bring with us some great memories. We will try our best to come back soon. Amazing villa and unforgettable honey moon here, highly recommend. Our stay at Villa Belong Dua was a truly wonderful experience, which lacked nothing to create an ideal luxury holiday. Located within a Bali Village, with the sights and sounds of village life was unique. The Villa itself and the staff were fantastic. We look forward to returning soon. Seseh Beach Villas offer a total of 11 luxurious bedrooms spread across two self-contained beachside villas set in lush tropical gardens. The villas suit groups of friends & families looking for a luxurious out-of-town escape. 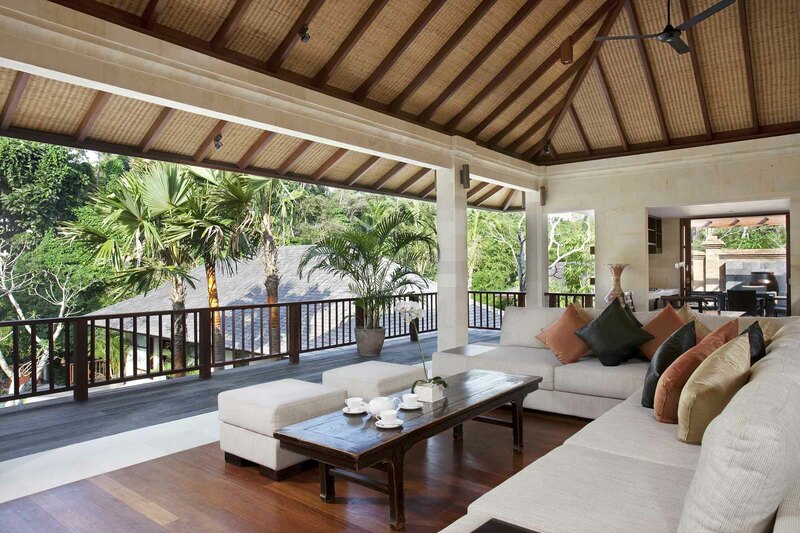 Set just steps from the Indian Ocean, Seseh Beach Villa II offers plenty of privacy & beachside serenity. Featuring contemporary architecture & furnishings, al fresco areas for dining, a 14-metre pool and 6 spacious bedrooms with ocean views. Seseh Beach Villa I is a striking 5-bedroom villa overlooking the ocean in the traditional village of Seseh. Featuring bright, spacious rooms with stunning ocean views, a sparkling turquoise pool and a multitude of stylish indoor & outdoor spaces. 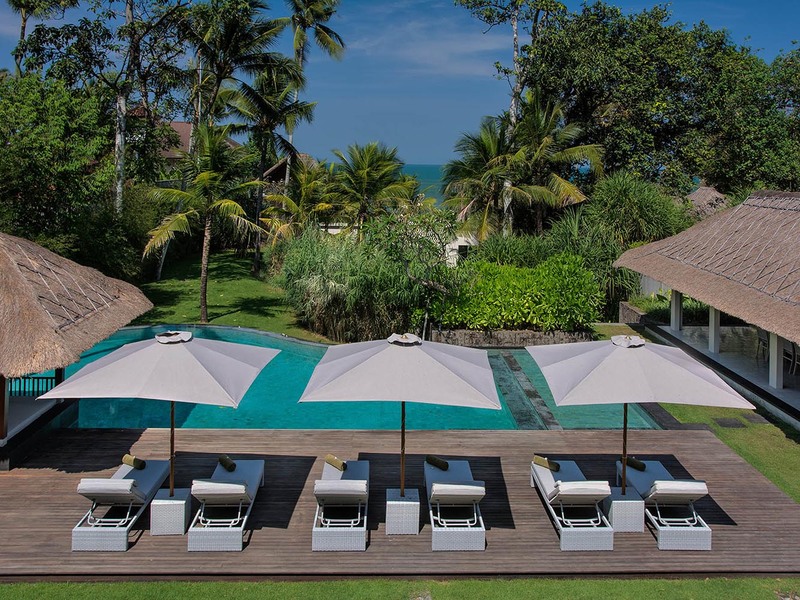 Villa Semarapura is luxurious 5-bedroom beachfront estate spread over 5,000 square metres of gardens and offers a variety of alluring pavilions for indoor & outdoor living. 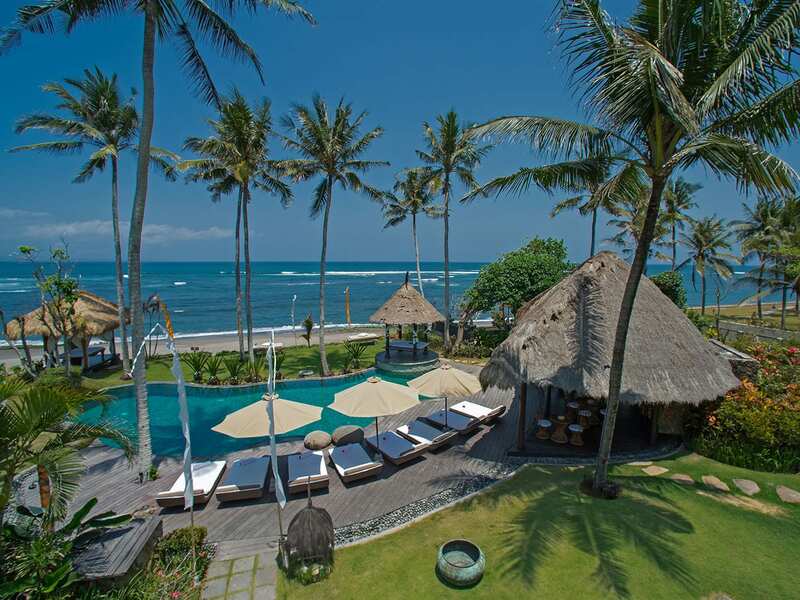 Boasting breath-taking ocean views & stunning sunsets in Seseh, Canggu. Wonderfully organic, yet unmistakingly luxurious, Taman Ahimsa is a beautiful 7-bedroom beachfront villa in the peaceful village of Cemagi. The name means ‘Garden of Peace’, and it is pretty easy to see why when entering this magical oasis. 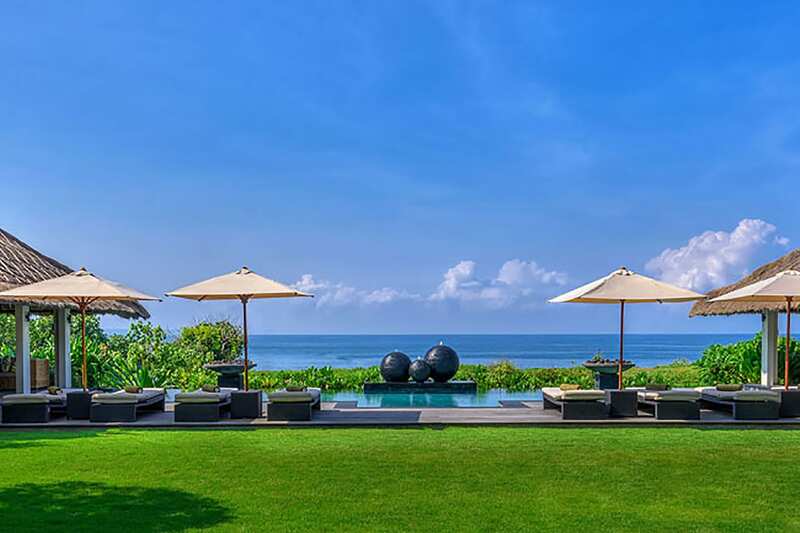 With panoramic views over luxuriant rice paddies stretching all the way to the Indian Ocean, Villa Mandalay provides a lavish, exotic hideaway on Bali’s scenic south-west coast. This contemporary villa has 7-bedrooms & sleeps up to 14 Guests. 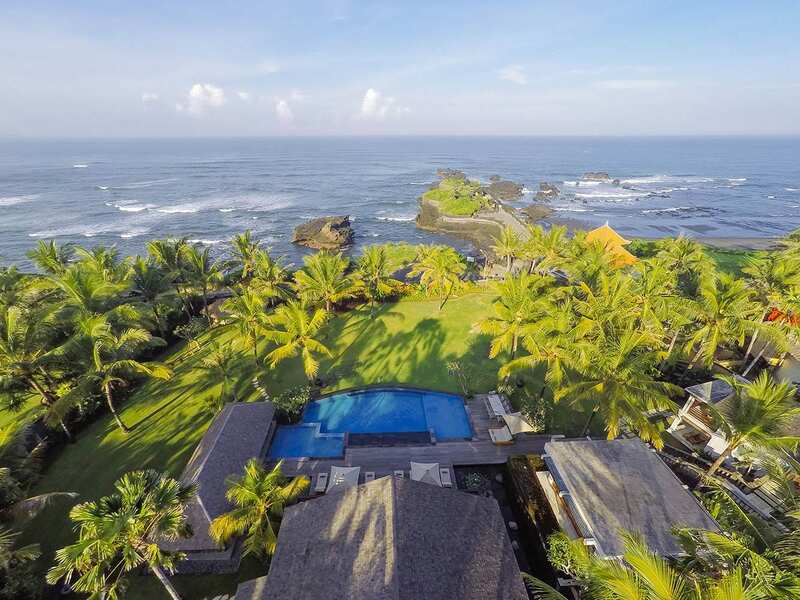 Villa Iskandar is an elegant 4-bedroom riverside sanctuary close to the famous Tanah Lot Temple & Nirwana Bali Golf Course. This stunning holiday home offers a truly beautiful setting for a luxurious close-to-nature escape. Sleeps up to 8 Guests. Villa Anucara celebrates the spirit of the ocean in its contemporary design and barefoot chic vibe. It’s the attention to detail in this striking 5-bedroom luxury Bali villa that makes all the difference; seamlessly blending indoor and outdoor living.